This past Monday, we featured five Chrome Extensions for teachers to try. Today we are highlighting one extension in particular and that is the Share to Classroom Chrome Extension. Because so many Burlington teachers are using Classroom for their digital workflow, we wanted to single out this extension because it makes sharing announcements, assignments, and ANY WEB PAGE with students even easier. 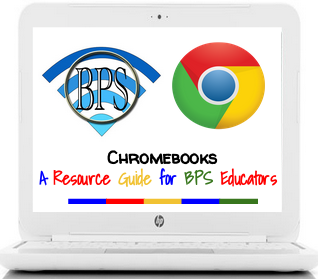 Like all extensions, Share to Classroom does NOT require IT support, however you must be using the Chrome browser for extensions to work. To get the extension, simply visit the Chrome Web Store. Keep in mind that the web store is FREE and doesn’t require and to access it, you do not need any type of password from an IT administrator. Once you’ve launched the Web Store, search for Share to Classroom in the search box located in the upper left corner. Once you’ve located the extension, click the +Add to Chrome button and then click “allow.” Once the extension is installed, it will be added to the right of your ominbox. Once you’ve installed the extension, you will be able to post announcements and/or assignments to your students in seconds and the best part is you don’t have to launch Classroom to do so. Any Google Doc, Presentation, Spreadsheet, webpage, video, anything with a URL can be quickly added to the stream in your Classroom as an announcement or an assignment. When you are ready to share a doc or article, you will click on the extension and your classes will be loaded. Select the class you wish to post to from the list that appears. Once you click on a class, the default option is “push to students.” It is important to note that this “push” option is only available to students if they are using Chromebooks. Because Burlington students are using iPads, this is not an option for our students. Note: “Push to students” is not compatible with the iPad. Rather than select the “push to students” option, Burlington teachers will select the drop down and can choose either “Make announcement” or “Create Assignment.” From there, teachers can make their announcement or post their assignment directly from the extension. This is a HUGE time saver. I have shown several colleagues this new extension and they are excited to use it. The only disadvantage to the extension that I have seen is that teachers cannot post to multiple classes at once. That being said, if you teach unique courses, I strongly encourage you install this extension and start taking advantage of how quickly you can communicate and connect with your classes. I’ve showed this extension to several Burlington teachers and they instantly realized what a time saver this will be and are excited to use it the next time they have to share an assignment or make an annoucnement. As always, Google is continuing to allow us to focus on our teaching versus the technology! Please don’t hesitate to contact me if you have questions about the Share to Classroom extension or the Web Store, Extensions, and Google Apps in general. Watch the Share to Classroom Extension in Action!